I’m sure you remember what your first panic attack felt like. It was probably one of the most unusual, yet frightening experiences you’ve ever had. In fact, it was so bad that you probably went hysterical when the panic attack hit you. Does the thought of having another panic attack scare you? Is your personal, social and professional life being affected by panic attacks? 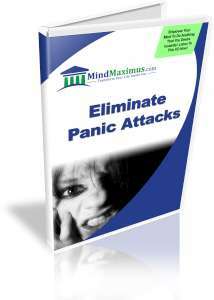 Have you always wished to be able to completely eliminate the effects of all future panic attacks? Are you afraid to go out of the house because you just don’t know when the next panic attack will occur? Each time we suffer from a panic attack, our emotional memory keeps a detailed record of how we felt when the attack happened. That’s why we always remember each attack so clearly. These memories can be so vivid that sometimes, just thinking about a panic attack is enough to trigger one. This is because we have been conditioned to fear this seemingly “uncontrollable” situation. 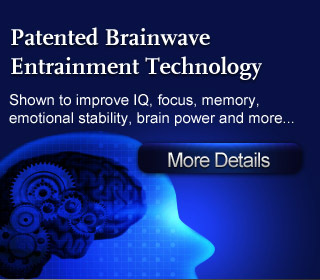 Thankfully, with today’s advanced Brainwave Entrainment techniques, we can now subtly influence our brainwaves to eliminate our fear of such panic attacks. Once we break the association of fear to an actual panic attack, we would not be able to trigger any more future attacks because we are no longer conditioned to it. Finally, you are able to completely eliminate your panic attacks to lead a happier, more confident and successful life! No reviews on F13 Eliminate Panic Attacks so far.